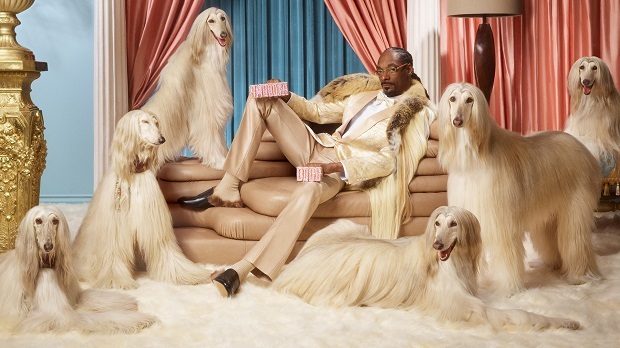 The collaboration entails Snoop Dogg becoming Smoooth Dogg and the face of a major campaign called “Get Smoooth”, as well as Snoop Dogg becoming a minor shareholder in Klarna. As a communicative concept, “Smoooth” encapsulates Klarna’s strategy as well as its promise in a single word, meaning: removing friction from the world of pay later payments. To make this effort abundantly clear, the company now teams up with Snoop Dogg, arguably the smoothest man alive, on his journey to become even smoother, in the campaign “Get Smoooth”. For Snoop Dogg, this is part of his European investment strategy. "I've been looking for an opportunity to expand my tech investment portfolio to Europe and seeing the way Klarna operates and how they challenge the status quo, I think it’s a match made in heaven. I’m very excited about this partnership,” says Snoop Dogg. “Get Smoooth” refers to the fact that whether you are a consumer, a merchant or a famously smooth person as Snoop Dogg, Klarna’s products will make your everyday life a lot smoother and hassle-free. From smooth to smoooth. Following the Get Smoooth campaign, Snoop Dogg and Klarna will shortly announce the next step of their collaboration, presenting a range of unique items enabling anyone to “Get Smoooth”.